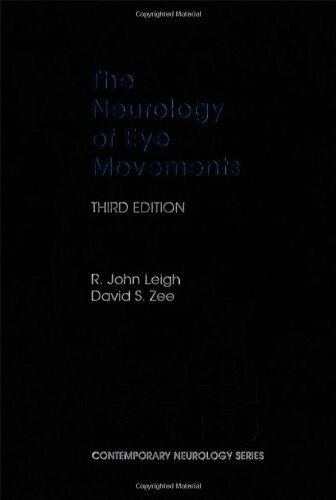 The Neurology of Eye Movements provides clinicians with a synthesis of current scientific information that can be applied to the diagnosis and treatment of disorders of ocular motility. Basic scientists will also benefit by descriptions of how data from anatomical, electrophysiological, pharmacological, and imaging studies can be directly applied to the study of disease. Bycritically reviewing such basic studies, the authors build a conceptual framework that can be applied to the interpretation of abnormal ocular motor behavior at the bedside. These syntheses are summarized in displays, new figures, schematics and tables. Early chapters discuss the visual need and neural basis for each functional class of eye movements. Two large chapters deal with the evaluation of double vision and systematically evaluate how many disorders of the central nervous system affect eye movements. This edition has been extensively rewritten and contains many new figures and an up-to-date section on the treatment of abnormal eye movements such as nystagmus. A major innovation has been the development of an option to read the book from a compact disc, make use of hypertext links (which bridge basic science to clinical issues), and view the major disorders of eye movements in over 60 video clips. This volume will provide pertinent, up-to-date information to neurologists, neuroscientists, ophthalmologists, visual scientists, otolaryngologists, optometrists, biomedical engineers, and psychologists.